Apparently Guilermo del Toro and Hideo Kojima haven't given up on a possible collaboration just yet, as the dynamic duo announced this weekend that they're still trying to pull together a new project. Now that's got us thinking: What form would a new venture from these industry legends take? Fans of games, movies, and all things awesome were heartbroken this year to discover that Silent Hills, a new game in the popular horror franchise helmed by del Toro and Kojima, had been canceled by Konami. Horror fanatics got a small taste of what Silent Hills might have to offer in the form of the “Playable Teaser,” P.T., along with a pretty horrifying concept trailer. While fans of the Silent Hill series were obviously disappointed, most folks just seemed to be crushed that these two great minds were now being denied an opportunity to create something magical. But according to a recent interview with IGN, del Toro says that there's still hope that “something” could be on the horizon. That's a pretty open-ended statement, which got us thinking: If not Silent Hills, what would we like to see come of the collaboration between Kojima and del Toro? Del Toro has been trying to get an At the Mountains of Madness movie put together for a very long time. He's a huge fan of Cthulhian lore and, given his work in horror and dark fantasy, it seems like he'd be the perfect guy for the job. But if a movie isn't going to happen, why not a game? Indie horror games are all the rage these days, as the genre is more about subtlety and craftsmanship than AAA production values. With del Toro and Kojima putting their heads together, I bet they'd be able to scare the living crap out of gamers, as well as tell a story that's just as insane as anything Lovecraft could ever concoct. Some of Kojima's earlier work for Konami included a pair of games boasting heavy sci-fi themes and some light horror elements. I don't know how licensing would work out, but we're talking about dream projects here, so let's just say that they manage to cut through some red tape. 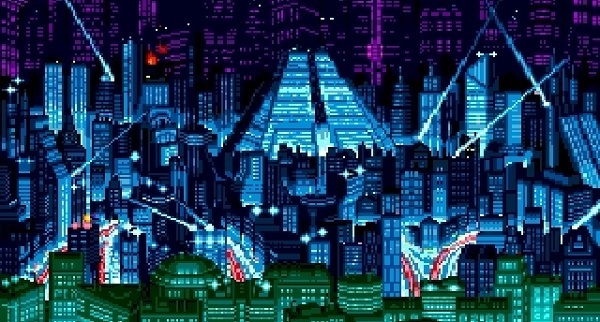 Policenauts is a murder mystery set on a space colony while Snatcher is a cyberpunk tale that revolves around androids that are killing humans and taking their place in society. While I'd be equally excited to see one of these tales hit the silver screen, a new game set in either universe seems like the perfect project for Kojima and del Toro to work together on. Also, I just really, really want to see del Toro do more sci-fi, so this would fit that bill perfectly. Kojima's second best-known game series is Zone of the Enders, which features people going to war in giant mechs. 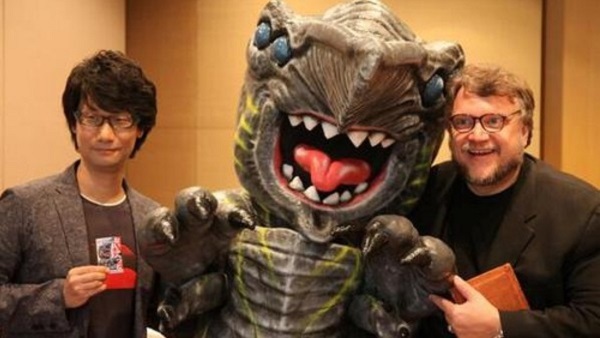 As he stated many times before finally getting to make Pacific Rim, del Toro is a huge fan of giant robots and kaiju. The duo clearly have a love of massive mechanized warriors shooting lasers and causing destruction, so why not combine those passions into a single new project? Since Pacific Rim 2 is already coming on the movie front, I think a new game about mechs, future society and its struggles would be a perfect fit for Kojima and del Toro, akin to having Stephen King sit down with Edgar Allen Poe to write a horror novel. It just makes sense. Now hear me out before you call foul. I'm not talking about a movie here, nor am I talking about a direct follow-up to the story featured in the popular film from 2006. However, in Pan's Labyrinth, we are given very brief glimpses into a fantastical world full of captivating creatures and terrifying monsters. I don't know about you, but that's a world I'd really like to know more about. What would a game look like if it was set in that dark fantasy labyrinth? Would we want to see a new child pulled into the magical realm and tasked with frighting ordeals or would it be best if the entire thing focuses on the stories of that hidden world, rather than ours? That's a fairytale I'd certainly like to experience with a controller in hand. The thing about coming up with dream projects for guys like del Toro and Kojima is that it's almost too easy. They're two beloved creators in their respective fields who tend to like the same kinds of things; mechs, horror, etc. So while it's easy to say I'd love to see them work on a game similar to what they were planning for Silent Hills or anything to do with huge battling robots, I'm equally intrigued by what the pair would come up with if they decided not to go the expected route. What would a short and colorful RPG from del Toro and Kojima look like? What would happen if they decided to do a first-person shooter? What about space pirates?! The possibilities are endless, which is what makes the fact that this collaboration is still potentially happening so exciting. Here's hoping the dream team actually manages to pull something off.